RQ1: what kind of language input do indigenous Australian Aboriginal children receive from traditional indigenous languages, Kriol and varieties of English, and from code-switching involving these languages as used by adults and older children? RQ2: what effect does this have on the children's language acquisition and how the input is reflected in their productive output? 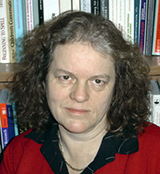 RQ3: what are the processes of language shift, maintenance and change which may be hypothesised to result from this multilingual environment, as evidenced by the children's input and output and the degree to which this reflects transmission of the target languages, the loss of traditional languages, or the emergence of new mixed languages? 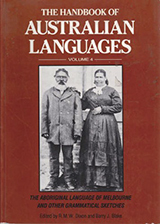 To address the complexity of these questions, this project brought together people with expertise in three different, but related, fields: Central Australian languages (Disbray, McConvell, Meakins, Moses, O'Shannessy and Simpson), first language acquisition (Wigglesworth), and historical change and language maintenance (McConvell and Simpson). The research team collected the data for the study in four main locations: Kalkaringi, Lajamanu, Tennant Creek, and Yakanarra. We identified the kinds of interactions young children are involved in, the language they use at different ages, and the breadth and variety of language the children are hearing. 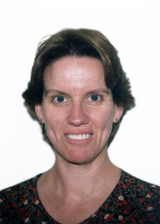 Additionally Carmel O'Shannessy (then PhD candidate at MPI, Nijmegen and University of Sydney) studied children's acquisition of Light Warlpiri and Warlpiri at Lajamanu. Please note: this map is a combination of areas where languages were traditionally spoken and areas of current speaker distribution, especially in relation to new languages such as Kriol. Gurindji is a suffixing Pama-Nyungan language spoken in the north-west of Australia, particularly in Kalkaringi and Dagaragu. It is a member of the Ngumbin subgroup of languages which includes Ngarinyman, Bilinara, Malngin, Nyininy, Mudburra, Jaru and Warlmatjarri. Gurindji is an endangered language, with only 60 speakers remaining in 2003. Gurindji Kriol is the language transmitted to the new generation at present. Gurindji is a dependent marking language. Word order is relatively free, though constrained by discourse functions. The verb phrase is made up of a free coverb and an inflecting verb which contains information about tense, mood, modality. Bound pronouns also attach to the inflecting verb to cross reference subjects and objects for person and number. These pronouns inflect for nominative and accusative case, unlike free pronouns whose form only changes for dative case. The noun phrase may contain nouns, adjectives, demonstratives and free pronouns. Case marking for nouns is ergatively patterned, and generally other elements in the noun phrase must agree with noun's case. 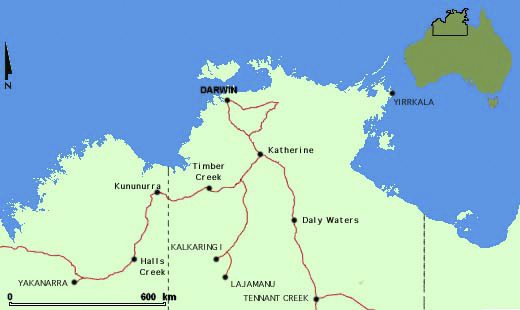 Gurindji Kriol is the main language of Kalkaringi and Dagaragu, twin communities situated 460km south west of Katherine in the north of Australia. It arose from contact between white pastoralists who spoke English, and the Gurindji, the traditional owners of the country the pastoralists colonised. After the initial conflict period in the late nineteenth and early twentieth centuries, many Gurindji people worked on the cattle stations as kitchen hands and stockman. The lingua franca between the two groups was an English-creole, Kriol. The Gurindji, who already spoke a number of the related neighbouring languages added Kriol to this repertoire and their code-switching practices. Nowadays all Gurindji people speak Gurindji Kriol, older people also speak Gurindji and younger speakers have a reasonable passive knowledge of Gurindji. Gurindji is an endangered language, with only 60 speakers remaining in 2003. Gurindji Kriol is the language transmitted to the new generation at present. 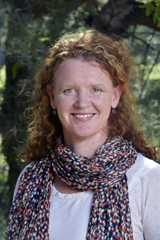 Some socio-historical evidence might be relevant as to why full language shift did not take place, as it has done in other areas in northern Australia. In 1966 the Gurindji went on strike from the cattle stations where they had worked and the long-standing dispute over wages and conditions revealed itself as a struggle for land rights. 1975 saw the hand back of traditional lands to the Gurindji by the then Australian Prime Minister, Gough Whitlam, a highly significant step for post-colonial law and history and for the Gurindji themselves. It is possible that the pride associated with these momentous events and the resultant desire to mark Gurindji identity linguistically may have affected the course of language shift and motivated the maintenance of a mixed language. nyawa-ma wan karu bin plei-bat pak-ta nyanuny warlaku-yawung-ma. "kamon warlaku partaj ngayiny leg-ta ..."
The varieties of English spoken in Tennant Creek can best be characterised on a continuum, ranging from heavily creolised English (CE) at one end, to light Aboriginal English (AE), close to standard Australian English (SAE) at the other. The variety a speaker uses depends on the situation, interlocutors present and the varieties that a speaker has in their repertoire. 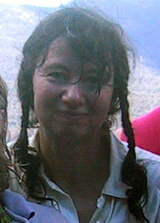 Speakers generally use very light Aboriginal English in interactions with Non-Indigenous people. Standard Australian English (SAE) is the language of education and institutions. Through media such as television, videos and popular music, people hear SAE and other varieties of English. Some speakers use Aboriginal English most of the time, but include some features of creolised English in interactions with speakers whose style is generally heavier. In some speech networks, heavily creolised English is the code of in group comunication. Given that these varieties exist in the speech community of Aboriginal people in Tennant Creek, there is great variablity. A single stretch of discourse may include features from lighter and heavier ends of the continuum. These sub-systems do not appear to operate independantly in speaker useage. Speakers also use items from Warumungu, such as lexicon, some verbs and nominal morphology. Older people tend to be full speakers of Warumungu, while most people under 40 years of age are partial speakers and so their use of Warumungu is always within otherwise CE or AE discourse. The phonology of heavily creolised English is influenced by Indigenous languages. Affricates and fricatives, which appear in English only, are generally replaced by corresponding stops. Consonant clusters are separated with a weak vowel. Dipthongs alternate with short clear vowels. The phonology of Aboriginal English is closer to English, though features mentioned in heavily creolised English appear. Word order in Aboriginal English and creolised English is SVO, though the object may be moved to clause initial position, for topicalisation. 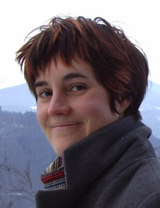 An object pronoun referent may also be topicalised with a postposed referential noun phrase. Transitivity is marked on verbs with the suffix -im. 2) Dei bin gitim im, nunuwan babiwan. If reference is made to an event that occurred prior to the time of speaking verbal auxillary 'bin' can be used with a verbal element . For future or potential state, garra, gata tends to be used with verbal element. 3) An nyili garra pokim im na. Progressive aspect is indicated by the suffix - in, ing. 4) Oni wanbala running na. Durative and iterative aspect is indicated by the suffix -bat, or -abat, which Sandefur (1991), discussing Kriol spoken to the north of the Tennant Creek region, claims has an overlap in meaning with the progresssive, and an interweaving of distribution and co-occurrence. The iterative meaning of -bat is more common than the durative meaning and can either refer to repetition of an action or plurality of participants. The iterative aspect is associated with creolised English, as it tends to occur more frequently in this speech style. 5) Tubla bin jasimbat dat julaka. 6) "Maami, dei bin bildimabat mi". "Mummy, they were beating me"
Verbless clauses are used to describe states perceived as existing at the time of speaking. 9) Weya im na? weya im kina? Noun phrase Nouns need not be marked for number or definiteness in AE and CE, (see examples 1,2,3, 5) but determiners can be used to express these. (10) Tribala kartti bin jasimbat. 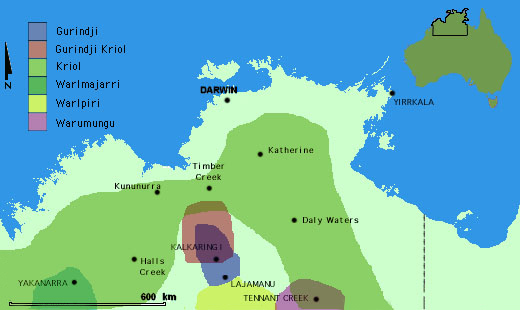 Bayulu (Gogo), Bidyadanga (La Grange), Djugerari (Cherrabun), Junjuwa (Fitzroy Crossing), Looma, Millijidee, Mindibungu (Bililuna), Mindi Rardi (Fitzroy Crossing), Mulan (Lake Gregory), Ngumban (Pinnacles), Ngalapita, Ngurtawarta, Wangkajungka (Christmas Creek),Yagga, Yakanarra (Old Cherrabun) - the redrawn boundary now means Yakanarra is located on Gogo, Yungngora (Noonkanbah). to show the mood of the sentence. For instance, if the boy (1 person) does something TO the girl (1 person), the verbal auxiliary has the form pa. If the boy (1 person) does something FOR the girl (1person) the verbal auxiliary is parla. If the boy (1 person) ACCOMPANIES the girl (1 person) the verbal auxiliary is manyanta. If other people are involved the verbal auxiliary changes to indicate this. With so much information contained in the verbal auxiliary, the sentence can be reduced to two words. The verb tells what the action was and the verbal auxiliary tells who or what was involved in the action. These two words form a mini-sentence. In a Walmajarri sentence the words can be moved about fairly freely, unlike English which requires a fixed word order to maintain the same meaning, eg in the sentence 'The girl saw the boy', a change of order makes a new sentence with a different meaning, 'The boy saw the girl'. Walmajarri word order is more free because where English uses word order and prepositions to indicate relationships between words in a sentence, Walmajarri uses suffixes. There are two types of cases in Walmajarri. One group is shown on the verbal auxiliary as well as on the nominal, ie they are cross referenced [Ergative, Accessory, Dative]. The other group is only shown on the nominal (Locative, Purposive, Preventative, Allative, Ablative, Consequent, Manner). The term nominal is used Walmajarri for word that potentially take the case suffixes. Most of these words would be clearly classified in English as nouns or adjectives. In Walmajarri this distinction is not clear because adjectives often take the place of nouns. The form without the noun is used unless there is need to be specific about the person involved. The verb consists of a stem and four orders of suffixes. Stems may be monomorphemic or compound and are divided into five conjugation classes. Before tense suffixes can be added to the verb, the mood of the sentence has to be known. This is because there are two sets of suffixes, based on the Realis-Irrealis distinction. When the mood is indicative, interrogative or hortatory, the Realis Tense System applies. When the mood is intentive, admonitive, imperative, negative, prohibitive or inabilitative the Irrealis Tense System applies. In finite verbs the Realis Tense System makes four distinctions: past, customary and future, with present only in the repetiitive/continuous aspect. The Irrealis tense System distinguishes only two, past and non-past. The two infinite forms are non-past (infinitive) and past. The past expresses an action prior to that of the main verb. The non-past is the infinitive to which the suffixes are added. Kiy [Kuyu(E)] kamparnu-jangka marna ngarni. 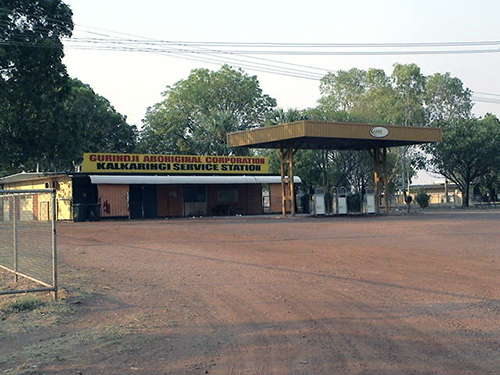 Warumungu speakers live at Tennant Creek, to the north and east at Elliott, Marlinja, Kurnturlpara, Ngurrara, Wogayala, and Alroy Downs, and on several outstations such as Likarrapartta, Jurntu Jungu, Pingala, and to the south at Kurraya, Alekarenge, Karlinjarangi, and Jungkkaji. In most of these communities other languages are spoken. 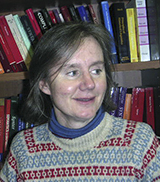 In the mid 1990s Robert Hoogenraad surveyed the languages of the Barkly area, and estimated that there were then about 700 people who could speak some Warumungu. While older people can speak Warumungu fluently, very few children and teenagers have spoken it regularly since at least the early 1980s. Warumungu was profiled in The Federation of Aboriginal & Torres Strait Islander Languages and Culture (FATSIL) newletter "Voice of the Land"
Language work on Warumungu is carried on in Tennant Creek through the Papulu Apparr-kari Aboriginal Corporation, as well as in the Nyinkka Nyunyu Aboriginal Art and Cultural Centre. Warumungu has been classified as a subgroup on its own within the Western Desert type of Pama-Nyungan languages by Oates (1975: I, 145). According to this classification, Warumungu would be more closely related to Warlpiri and Warlmanpa, than, say, to Arandic. However,in the classification of O'Grady, Voegelin and Voegelin (1966, p.42), Warumungu is coordinate with the Wakayic group, the Arandic group and the South-West group to which Mudbura, Warlpiri and Warlmanpa belong. Its exact genetic relationship to these languages is still uncertain. Phonologically, the presence of two stop series sets Warumungu apart from neighbouring languages. There are five places of articulation for stops and nasals: bilabial, apico-alveolar, apico-postalveolar (retroflex), lamino-palatal and velar. There are three laterals, one tap r and three semivowels (including a retroflex glide r). There are three vowels. Vowel length is distinctive in initial syllables. Primary stress occurs word-initially. The most striking phonological rules are alternations in consonant length and voicing, and vowel deletion, which deletes the first of two adjacent vowels across word boundaries. Warumungu is a suffixing language. Grammatical functions are expressed by Ergative-Absolutive case-marking. Word order is used for information structure purposes. Initial and second position are particularly salient. Pronouns appear in clusters, marking either one pronominal argument (intransitive subject) or two (transitive subject and direct, reflexive or indirect object). They normally appear in initial position, or encliticised to a constituent in initial position. Verb roots are a small closed class. Complex verbs are created by compounding these verb roots with preverbs, which appear to be an open class. There is no evidence for a surface verb phrase, but nouns and their modifiers do appear to form phrases.